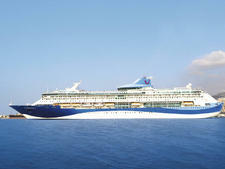 Although Marella Celebration joined what was called Thomson Cruises' (now Marella) fleet in 2005 -- identical to sister ship Marella Spirit -- it was built for Holland America Line in 1984. Despite a 2013 makeover, which saw the introduction of 20 balcony cabins and the arrival of the Coffee Port in the Explorer's Lounge, the ship is showing some signs of age, particularly in stairwells where carpets are worn on the steps and some decor appears outdated. With the exception of the ship's suites, cabins feel light and airy, but lie down on your cabin bed and you'll feel the ship's gentle vibration, and water pressure can be low in the bathroom showers, too. The ship, however, still has an elegant feel -- particularly on the outside promenade with its well-maintained teak decking, and when in port, docked next to bigger, bulkier ships, Marella Celebration's angular lines look all the more refined. For a small ship by today's standards, Marella Celebration has an excellent selection of dining options, particularly its specialty Hot Stone at the Terrace Grill and Kora La -- the latter introduced in 2014. 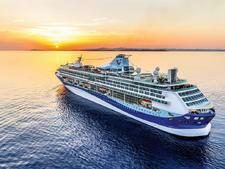 Marella Celebration feels like a home-away-from-home for its British passengers. Home comforts -- PG Tips teabags, HP Sauce, curry and roast dinners -- combined with the ship's convenient size and much-loved crew make this ship very special. 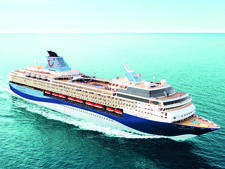 Geared more towards an adult audience, Marella Celebration can be a buzzing late night ship with passengers partying until the early hours, before grabbing a late night buffet in the Lido (expect queues for the hot food at around 1 a.m.!). The crew are fantastic and build a quick rapport with passengers. Don't miss the weekly crew show in the Broadway Theatre, which sees some of the crew star in a talent show. One of our favourite performers was "Elvis Parsley"-- restaurant server by day, multi-talented blues singer and guitarist by night. On the downside, the ship doesn't offer an enrichment programme and we would like to have seen opportunities to learn about the various ports while onboard -- particularly with such destination-rich itineraries. However, the ship's size is an advantage. It's easy to fully experience Marella Celebration without feeling you might be missing out on something happening elsewhere onboard. If you're looking for a modern ship with gimmicks and hi-tech gadgets, Marella Celebration is not for you, but if you're looking for home comforts on a small, but lively ship, you'll love it. 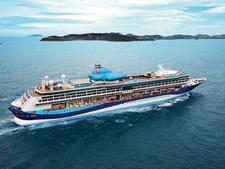 Passengers are British, and from May to October the ship operates adult-only itineraries (16-plus). While passengers skew towards the 60-plus age group, we also found young couples and multi-generational families onboard. There is one formal night per cruise and, despite Marella Cruises operating more relaxed dress codes, passengers still like to dress up. On formal nights, men require a dinner jacket or tuxedo and women a cocktail or evening dress. On all other evenings, smart casual dress is suitable, for men that means full length trousers and a polo or open-necked shirt and smart two-pieces or dresses for women. Light-coloured jeans and trainers are not allowed in the restaurants in the evening. 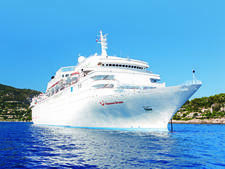 All tips and service charges are included in the cruise fare, however, if passengers want to tip individual crew members for excellent service they are welcome to do so. The onboard currency is British sterling.